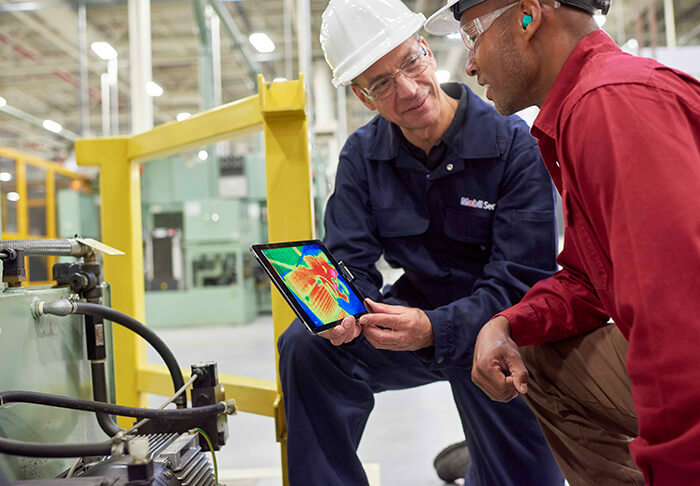 Industrial operators must identify opportunities to enhance success and achieve longer-term ambitions, while facing one critical challenge: maintaining reliable equipment. When equipment fails or shuts down, an operation’s productivity suffers, damaging the bottom line and hindering operators from improving their business. While there is no silver bullet to ensure reliable performance, there are key tips that operators can follow to keep equipment running at peak productivity and push performance to a new level. The following guidelines are equally applicable, whether operating utility-scale turbines, high-volume injection molding machines or feedwater pumps for cooling towers. 1. Design a quality lubrication program for the application. Selecting the right lubricants is an important step in maintaining equipment performance. To make the best selection, decision-makers should understand equipment operating conditions, such as load requirements, operating temperatures, vibration irregularities, noise anomalies and exposure to contaminants. These operating conditions, along with the specific application, should play a major role in selecting the right lubricants. A prime example of this is the difference between mineral-based and synthetic lubricants. While mineral-based lubricants work well in many applications, equipment operating in extreme environments often requires a synthetic lubricant designed to better withstand such conditions. 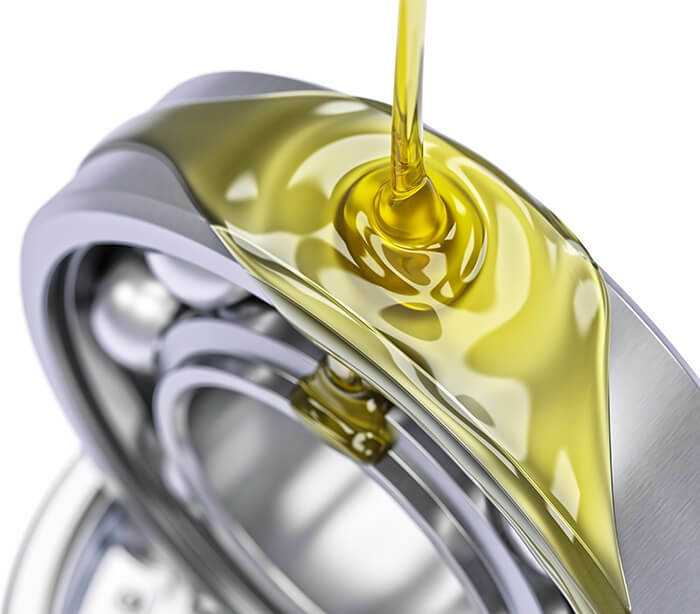 Enhanced oxidation stability and more consistent viscosity across temperature ranges are synthetic lubricant benefits. and lubrication costs, and limit human-machine interface time, ultimately making an industrial plant safer. For example, a building materials manufacturer that relies on its screw-type pneumatic pumps was experiencing excessive bearing replacements (62 over the course of 15 months). Suspecting the bearing failures were related to high temperatures, the company’s lubricant supplier recommended using a synthetic grease formulated to resist elevated temperatures. After switching, the company reduced bearing replacements by approximately 65 percent (10 replacements over 7 months). The switch ultimately resulted in $25,000 in annual savings. By taking time to consider their lubricant selection, operators can ensure appropriate protection for equipment and potentially improve their bottom line. 2. Regularly measure equipment health through used oil analysis (UOA). Operators can find themselves in a world of hurt if they subscribe to the “set it and forget it” mentality for their lubrication program. The same way operators keep track of equipment output and operating conditions, they should also track the performance of their lubricants. To do so, they can leverage condition monitoring tools such as UOA. UOA is a powerful tool that measures a range of critical performance characteristics, including the lubricant’s physical properties, the presence of wear metals and potential contaminants that indicate equipment health. By reviewing these results on a regular basis, operators can identify and address impending performance issues before they become a problem. In doing so, they can minimize the potential for surprises and keep equipment running. A water treatment plant that operates 24-hour flocculation drives and vertical turbine pump motors, which are prone to oxidation and deposit formation due to elevated temperatures, partnered with a lubricant supplier to create a new hydraulic oil and UOA program to monitor oil and equipment condition. The change saved the plant more than $13,000 per year and reduced oil consumption by 81 percent. By taking advantage of resources like UOA to continuously measure equipment performance, owners and operators can improve equipment reliability and drive savings to the bottom line. Assess filter media types: The type of filter media should be selected based on the equipment’s filtration design. A wide range of medias are available for full-flow filters, where all of the oil is drawn through the filter media. On the other hand, bypass filters, which filter a much finer contaminant, require synthetic medias better equipped to trap small contaminants. Evaluate filter efficiency: To ensure a filter is working efficiently, operators should regularly evaluate its performance. This can be done by testing the filter’s weight percent removal, the size of openings within the filter, and the ratio of particles passing through a filter sized above a specified micron rating. The “Beta Ratio” is the filter industry standard for oil filter efficiency at a particular micron size using the ISO multipass test standard 16889. Operators can often work with their OEM or lubricant supplier to help with filter selection. 4. Store and handle lubricants appropriately. Improper handling and storage of lubricants can reduce the effectiveness of the product, increase the chances of misapplication, create fire or safety hazards, and turn once-safe lubricants into unusable waste. By keeping lubricants away from potential contamination and degradation, operators can better ensure optimal performance in the application and minimize equipment issues. Store lubricants in a well-ventilated, “positive pressure” space that maintains constant temperatures. If lubricant barrels must be stored outdoors, they should employ drum covers or be placed horizontally to avoid the pooling of any moisture. Implement lubrication trolleys, dispensers and filters to ensure optimal lubrication cleanliness. Consult with a lubrication partner to identify any gaps in product quality, safety or environmental issues. Operators should ask their lubricant supplier for help in identifying any gaps or improvement opportunities in their storage and handling procedures, and to ensure all personnel are properly trained. Proper lubrication is fundamental to equipment performance, but it is also much more. Robust lubrication programs not only protect equipment in accordance with OEM recommendations, but also deliver benefits that help operators achieve their broader business ambitions and improve their bottom lines. Mike Galloway is an equipment builder engineer at ExxonMobil with more than 30 years of field experience. A Certified Lubrication Specialist by STLE, Galloway works closely with Industrial Equipment Builders throughout the mining, power generation, pulp and paper and rubber and plastics sectors. For more information, visit www.mobil.com/industrial.